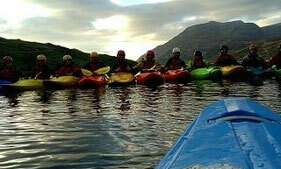 The River Safety and Rescue Awards (RSR) deal with the core skills of safety and rescue in the river environment. 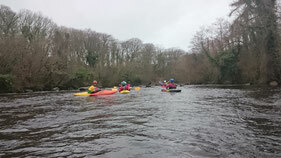 Undertaking the relevant training in River Safety and Rescue techniques appropriate to the grade of water to develop a culture of safety, awareness and proactive accident prevention in canoe sports in Ireland. The RSR 1 is a half day course designed for people who wish to undertake relevant training in Safety and Rescue Techniques appropriate for Grade I water. 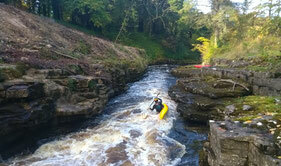 The RSR 1 aims to develop a culture of safety, awareness and proactive accident prevention in canoe sports in Ireland. The RSR 2 is a 1 day course designed for canoeists who wish to undertake relevant training in Safety and Rescue Techniques appropriate for Grade II water. The RSR 2 aims to develop a culture of safety, awareness and proactive accident prevention in white water sports in Ireland. The RSR 3 is a two day course designed for intermediate and advance level canoeists who wish to undertake relevant training in River Safety and Rescue techniques appropriate to water of Grade III and above difficulty.